January 15, 2015 by Luis Umpierre Jr. and Luis Umpierre Sr.
Great action today of Tarpons and Yellow Tail Jack Crevalles while fishing San Juan Bay Puerto Rico! 5 landed out of /10 great bites this morning (4 out of 7 Jacks and 1 out of 3 Tarpons). 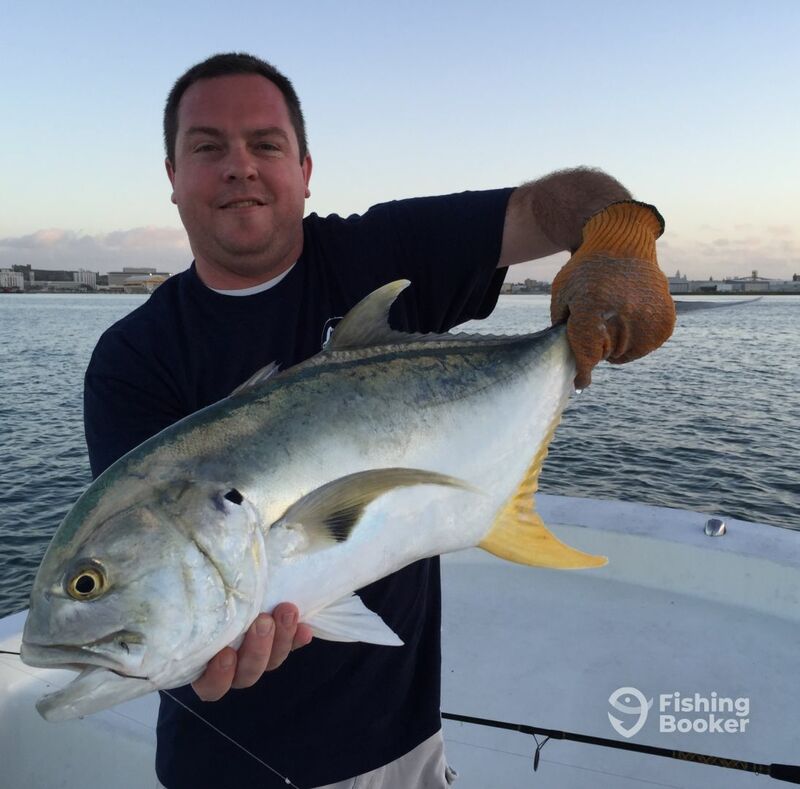 Congratulations to Joe for a great day of fishing and for sharing, since he even let his Captain luis burgos land one of a multiple hook up moment. As Joe was fighting a nice one a second bait got crushed and his Captain pumped said: “is it ok if I fight this one with you?” And he answerd: “Of course!”, as the Capt. was pulling away the last bait left in the water to prevent chaos from another agressive, over 90 degrees, rod bending action. Grateful to know that this will be unforgettable for Joe and will be able to share his new fishing story with family and friends since, as he once said while doing a “hand shaking dance”: “...this is my greatest fight yet”.